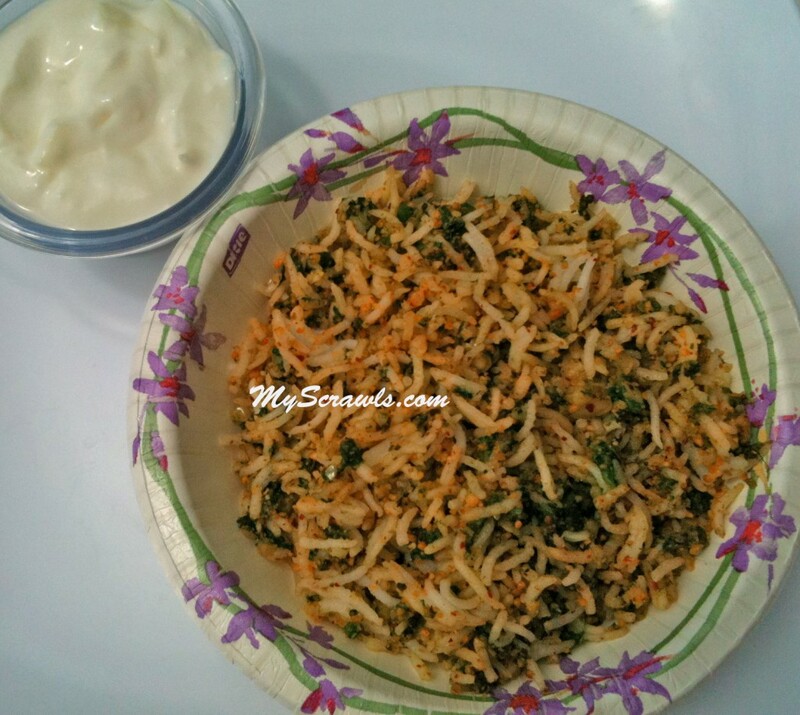 A few weeks back, I had talked about the one pot meal bug that had caught me recently Here is the next recipe in this series – Spinach pulao! Once again my sincere thanks all the chefs (aka fellow foodie bloggers) for your wonderful recipes! Dry fry the following ingredients and powder them. Heat oil and do seasoning with mustard seeds and cumin seeds. Add spinach and fry till it gets cooked. Now add peanut powder and mix well. Add cooked rice and ground powder and mix thoroughly.